Small neighborhood revitalization and historic preservation efforts are just as important to smart growth as are large-scale projects. The Waxwood project, which rehabilitated a building of significant cultural value and addresses a dire need for unique, mixed-income housing in Princeton Borough, is an example of the kind of project whose impact is disproportionate to its size. This project converted the former Witherspoon School for Colored Children, a neglected building located only a few minutes’ walk from the heart of downtown Princeton Borough, into 34 one-and two-bedroom apartments. The exterior was restored to its original condition and a mix of unit types, including loft apartments that frame panoramic views of the town, were created. Located in a pocket of town within easy walking distance to public transportation and infrastructure like schools, cultural venues, community centers, restaurants, and shops, the project reinforces the town’s walkability and vibrant mix of uses. The design also established a pocket park to create much-needed public space in this high-density neighborhood. The addition of condominiums to a neighborhood composed mostly of small single-family homes increases the range of housing types available, while the creation of a foundation to provide financial assistance to long-time residents of the community and/or their descendants for the purpose of lease of units in the building, helps mitigate the effects of gentrification. The mostly African-American John Witherspoon neighborhood was originally settled by freed slaves who played an important role in the town’s development; it has remained a strong African-American enclave over the years. Singer and activist Paul Robeson was born there and attended the Witherspoon School, as did the rest of the district’s African-American children until the state ordered desegregation in 1947. After that, the school enrolled all of the Borough’s children, regardless of race, in grades six through eight, until it closed in 1968. It was later converted into a nursing home. The developer purchased the building in 2002 and named it The Waxwood in honor of the principal who oversaw the integration of the school, Howard B. Waxwood, Jr. 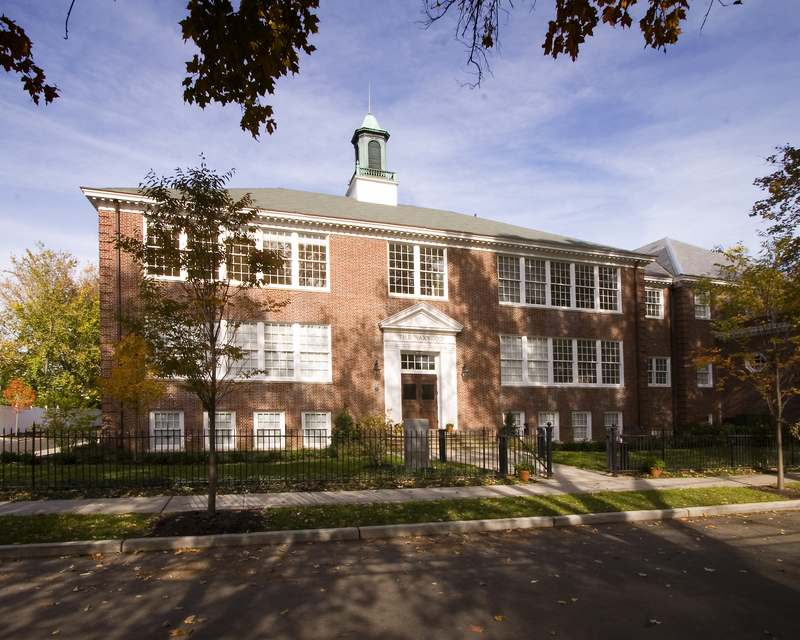 The development strategy included restoring the school’s façade and rehabilitating the building using the Federal Historic Preservation Tax Incentive program. Great care was taken to preserve unique architectural features of the building that point to its original use. The school’s original brick façade was repointed; the school’s wide corridors and classroom-like floor plan were retained; the ceilings were returned to their original 12-food height. With the help of historic photographs, the oversized windows, which were partially covered for years, were restored. Other features of the project include a garden for the use of all of the building’s residents, as well as several private gardens for individual units. Historical markers tell the building’s history. Following restoration, the building was placed on the National Register of Historic Places. Perhaps the most important element of the project is a foundation established by the developer/architect to help members of the community buy or rent the condos. Five units out of 34 have been set aside for rent or purchase by residents who have lived in the John Witherspoon neighborhood for at least ten years or their direct descendants. The Waxwood Foundation provides buyers with 20 percent of the purchase price of a unit based on current market value, essentially eliminating the need for a down payment; renters get a 10 percent rent subsidy.